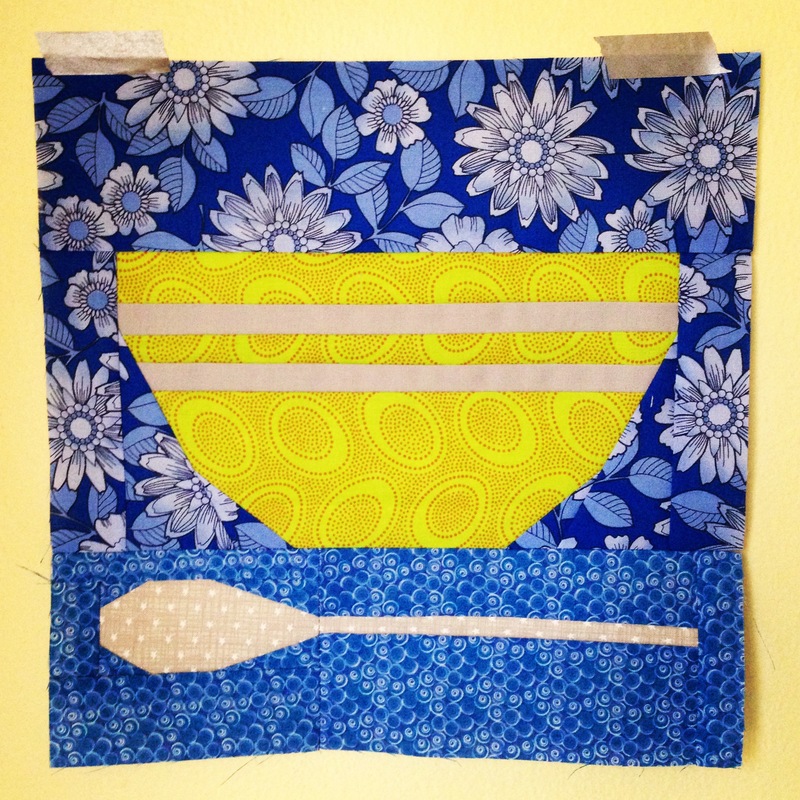 Sew Kitschy BOM – 2 more months! Considering that the weekend I planned to work on the March block of the month was the WEEKEND I GOT ENGAGED, I’m not feeling too badly about my late finish! You can see my blocks for January and February here. Categories: Quilts | Tags: block of the month, foundation paper piecing template, paper piecing, quiet play, quietplay, quilt, quilt block, quilting, sew, sew kitschy, sewing, template | Permalink. 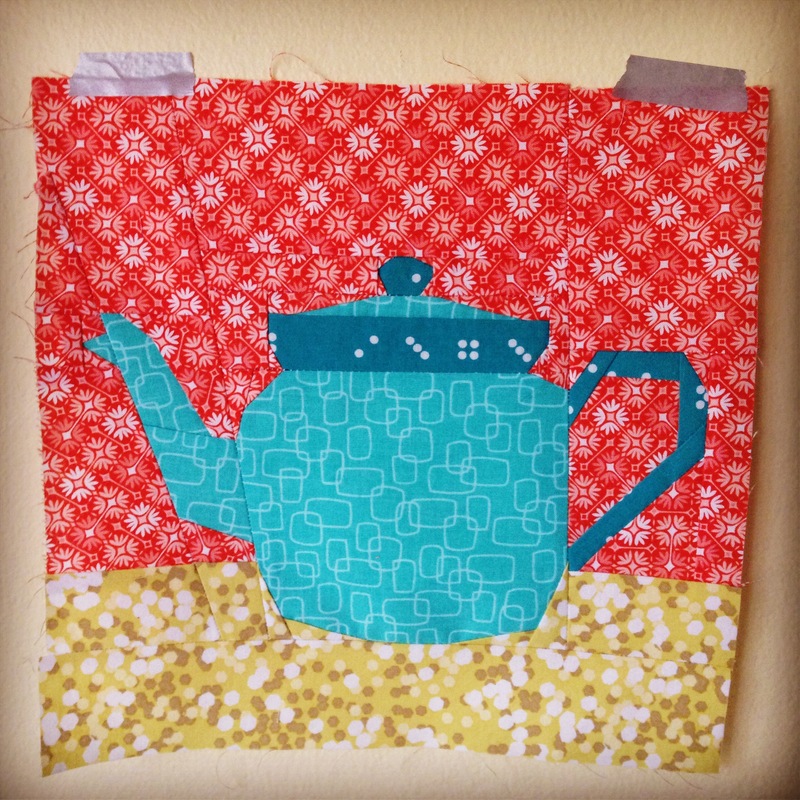 I was second-guessing my fabric selections on the teapot, so I especially appreciate the vote of confidence! Happy Engagement! I too had to catch up with the bowl and spoon. I love this bom so much I just had to get it done. I love all your bright patterns. The teapot fabrics are perfect. I see “had to” (past tense), so hopefully you’re caught up now! Thanks for the kind words. Kristy at Quiet Play is a paper piecing genius!